Local veteran and entrepreneur Brian Winton is launching his new house care business, TruBlue of Chattanooga. TruBlue is a full-service company that provides handyman, house cleaning, emergency repairs, yard/lawn care and seasonal services for busy families, seniors and anyone who want the comforts of their own home without worrying about critical property maintenance. 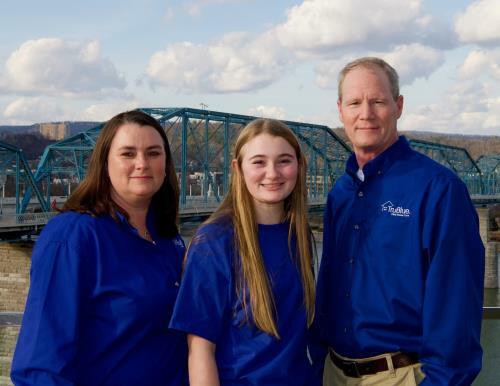 TruBlue of Chattanooga serves Chattanooga, Hixson, Soddy Daisy, Lookout Mountain, Signal Mountain, Red Bank, North Chattanooga and the surrounding areas. “There are quite a few fly-by-night handyman services in this area, but I saw a need for a professional company that was bonded and insured and had trusted, background-checked employees and a commitment to quality," said Mr. Winton. "TruBlue is a locally-owned and operated company, but we are backed by an experienced, national franchise, and you can trust us to help with your handyman projects, home care, maid services, lawn care and other house projects." Mr. Winton served in the United States Air Force and then worked at FedEx Express as a courier and a team leader for more than 24 years. He has also been a youth leader for the last 20 years, including service as a youth pastor. Mr. Winton is launching this business with the support of his wife, Gail, their three daughters, Sidney, Amber and Peyton, and their two grand-daughters, Kennedy and Kinley. All TruBlue employees are licensed, bonded and insured. To learn more about TruBlue of Chattanooga, call 541-2703, email BWinton@TruBlueHouseCare.com or visit https://www.trubluehousecare.com/chattanooga/.